In 1933 Thomas J. Williams founded the Personalized Stationery Company to supply high quality personalized stationery products to be used as fund raising items by schools, churches and fraternal organizaions. Now operating as Williams Stationery Co., Inc. with the trade name of Kadet Stationery, we are a third generation family owned printing firm offering the same high quality personalized stationery and letterpress printed items for personal and business use. As a service to other letterpress printers, we have posted some documents for various letterpress equipment. We hope you will find these of use in your letterpress printing business or hobby. Click here for our downloadable letterpress documents. We have a wide variety of letterpress equipment to meet most printing needs, both typesetting equipment and printing presses. 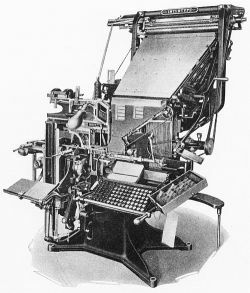 If our typesetting equipment can not fill your needs, we offer outsourced magnesium or copper photo engraving services to print from your computer generated artwork.